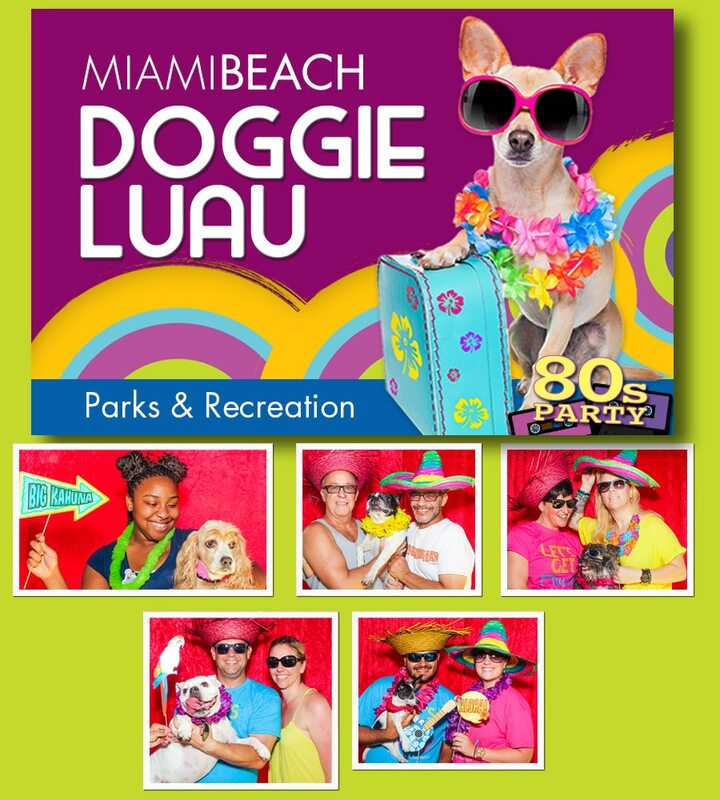 The City of Miami Beach offered a Photo Booth Dog Party at one of their dog parks. Hundreds of residents participated in the summer celebration, along with their pooches. While there were various activities for the dogs, one activity that was very popular with the owners was taking their picture with their best friends in the photo booth. All my Good! It was a hit! This is the first time Photo Booth Party had ever participated in such an event, but it was actually a great idea. We can see this expanding to other cities in south Florida, such as Fort Lauderdale, Weston, Coral Springs, and Hollywood Beach.